You can have an Instagram landing page on your blog. 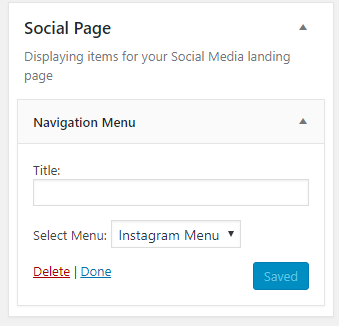 Create a new blank page and select “Social Page” from the page template on your right sidebar. Save/Publish. Create a new menu (tutorial here), name it “Instagram Menu” or anything. 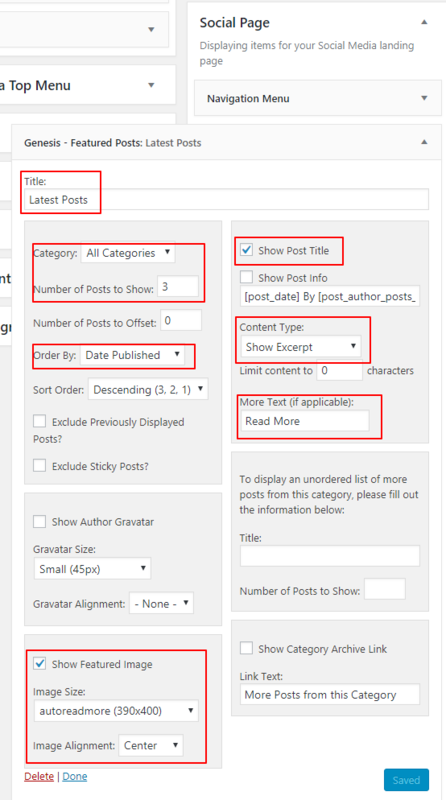 To add the available menu items from your Blog, select from the left panel. If you want to add something else or external links, use “Custom Links“. Add menu to add the link, and then save if you already done. Second, to add the posts to your instagram page, add “Genesis Featured posts” widget from the left side and drag it to “Social Page“, so it’s placed under the Navigation menu widget.